The Datacard 534000-002 has replaced this Datacard 552854-204 ribbon. For Datacard SP35, SP55 and SP75 printers. Full color ribbon with TopCoat, good for 250 prints. 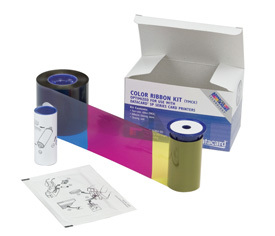 Ribbon kits include all necessary cleaning supplies for the card printer’s daily operations. Each kit includes: one ribbon, one cleaning card and one cleaning sleeve.